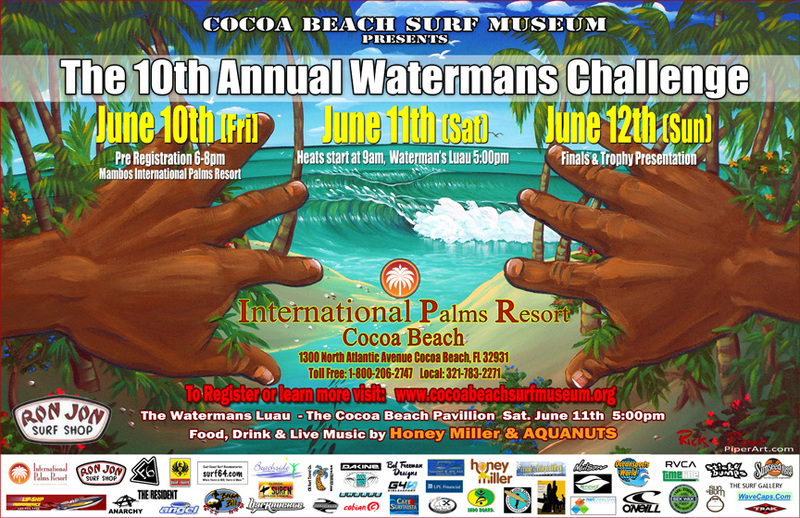 The Cocoa Beach Surf Museum's annual "Waterman's Challenge" is June 11th/12th. They will be having the Chris Harazda Paipo Expression Session on Sunday the 12th. Many of you probably remember Chris fondly as "Tumak" on the Paipo Forums and as the author "Logjammer" on some other forums and the introspective essay on the paipo board (see http://weareh2o.com/weareh2o/drifting/spring2006/totalinvolvement.htm). The Expression Session is always a fun gathering of paipo riders from the Florida and nearby areas. Saturday night's luau is another worthwhile event.